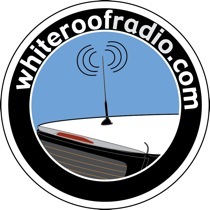 White Roof Radio...it's a radio show podcast that I am a co-host of, but it's so much more! We are a PR Team, we are car enthusiasts, we work closely with MINI USA to help push the brand and create excitement, and last but not least, we are a bunch of cool guys to hang out and drink with. On the show we talk about all things MINI, which by the way is not always about the car. The MINI brand is a lifestyle, a way of thinking...so we talk about all things hip that you can use in your MINI and how it makes life better. We also cover the news that is happening within MINI as a brand. And finally we have the “Ask Chad” section. This is the part where I normally have the most to say. I answer questions sent in by the listeners about their cars. Anything from go fast parts to “it's making a noise, is it safe?”. Please give us a listen, and always give us feedback so we can improve the show for you, the listener! The best way to listen is via iTunes. Just subscribe and it will download right into iTunes each week for you. Quick and easy. Or Listen via our web site, or see one our live shows via You Tube. If you need help with an event, shoot us an email, we can come up with some ways to help that helps us both.